TFcon is happy to welcome Brendan Cahill to TFcon Toronto 2016. Fans will recognize his art from various issues of both Transformers ongoing #21, #25, #27, #29, Robots in Disguise #7, 2012 Annual and More than Meets the Eye #12, #27 #40, #47 and #50. He will be in attendance all weekend and offering prints and commissions to the attendees. Registration for attendees will be available in the very near future. TFcon Toronto 2016 will take place at the Hilton Mississauga/Meadowvale with special guests FRANK WELKER the voice of G1 Megatron, IAN JAMES CORLETT the voice of Cheetor » Continue Reading. The post Transformers Artist Brendan Cahill to attend TFcon Toronto 2016 appeared first on Transformer World 2005 - TFW2005.COM. 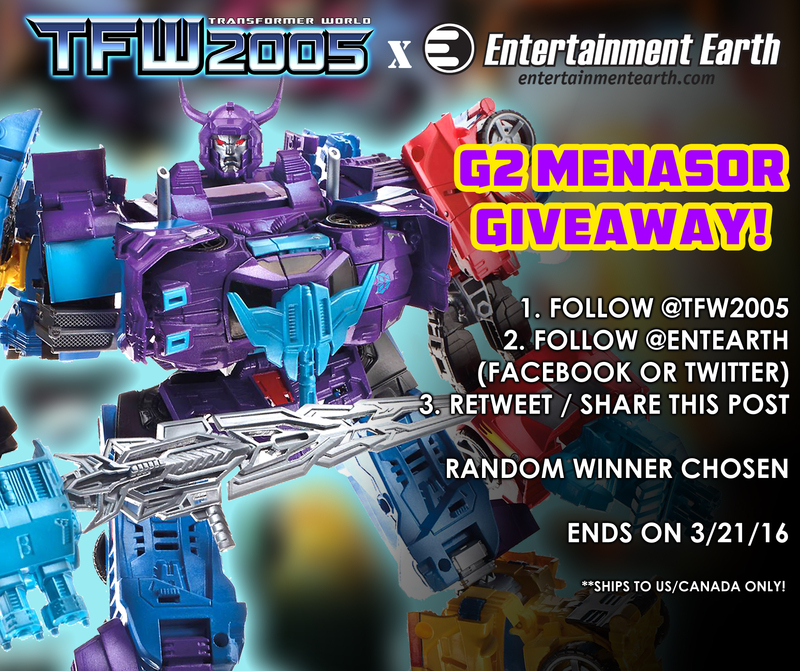 Over the last week, TFW2005 and Entertainment Earth teamed up to give away a G2 Menasor set direct to the fans! All folks had to do was like/follow our accounts & retweet/share the announcement posts on Facebook or Twitter. We tallied up all the entrants from both networks and ran them through a random choice selector for our winner. That winner is, without further adieu – @KPAutobotX from Twitter – also a TFW2005 member by the name of Autobot X! We’d like to thank everyone for entering, we hope to bring you more contests like these in » Continue Reading. The post And the G2 Menasor Giveaway Contest Winner Is… appeared first on Transformer World 2005 - TFW2005.COM. Transformers Legends Beast Wars Re-Releases Incoming? TFW2005 boards member Verno has spotted something interesting over on the QTransformers website – it seems as though we may be seeing some re-releases of the Transformers Legends (or Generations) Rhinox, Rattrap, and Waspinator figures sometime in the future to celebrate Beast Wars’ 20th anniversary. 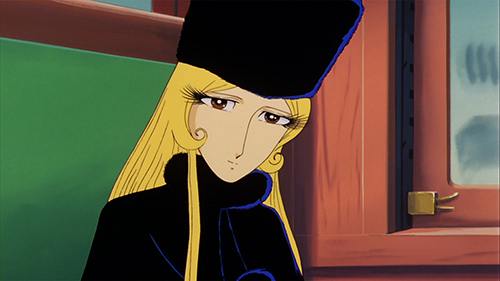 It should be noted, however, that these do not appear to be straight re-releases, and in fact do feature some very minor color changes to make them slightly more accurate to the TV show. Notable examples include Rhinox and Waspinator lacking the metallic colors and Rattrap having black beast mode eyes rather than red. » Continue Reading. The post Transformers Legends Beast Wars Re-Releases Incoming? appeared first on Transformer World 2005 - TFW2005.COM. Thanks to Comic Book Resources, we have our first details of the upcoming IDW Transformers comic Till All Are One. 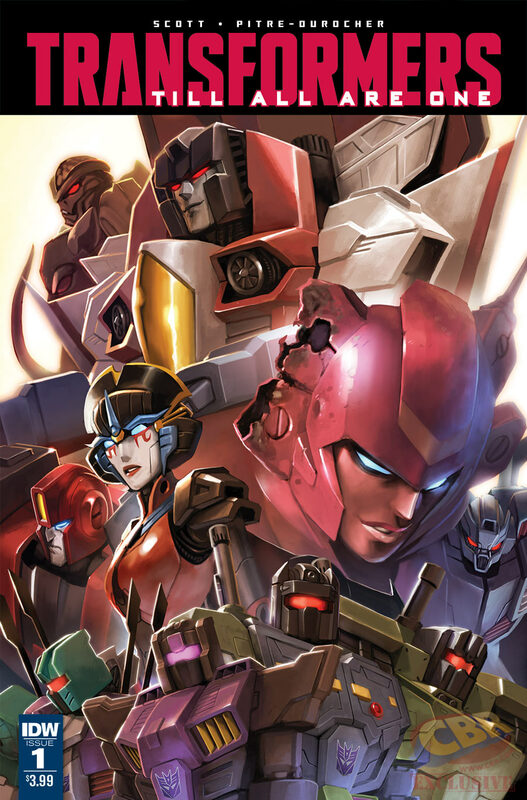 Releasing this June from writer Mairghread Scott and artist Sara Pitre-Durocher (who previously worked on the Combiner Hunters issue), Till All Are One picks up where Windblade #7 left off. Here are the details provided by IDW and CBR: Transformers: Till All Are One #1—SPOTLIGHT Mairghread Scott (w) • Sara Pitre-Durocher (a & c) PEACE IN OUR TIME! 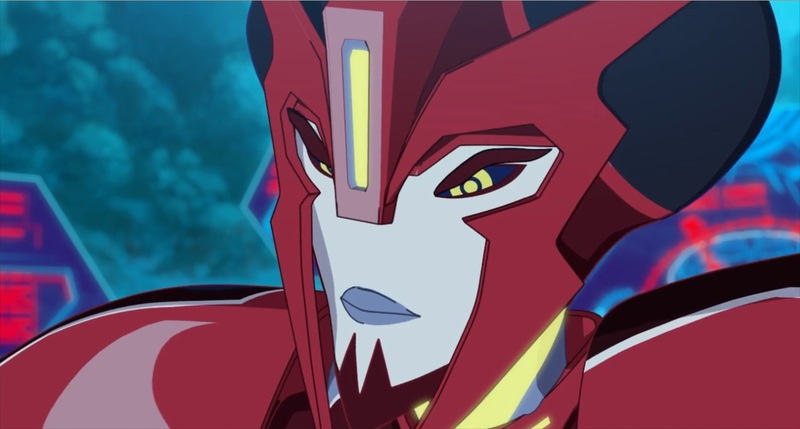 STARSCREAM and WINDBLADE have given everything to bring together CYBERTRON’s Lost Colonies into a Council Of Worlds. But when the increasingly brutal tactics of » Continue Reading. The post Transformers IDW Till All Are One #1 Details appeared first on Transformer World 2005 - TFW2005.COM. 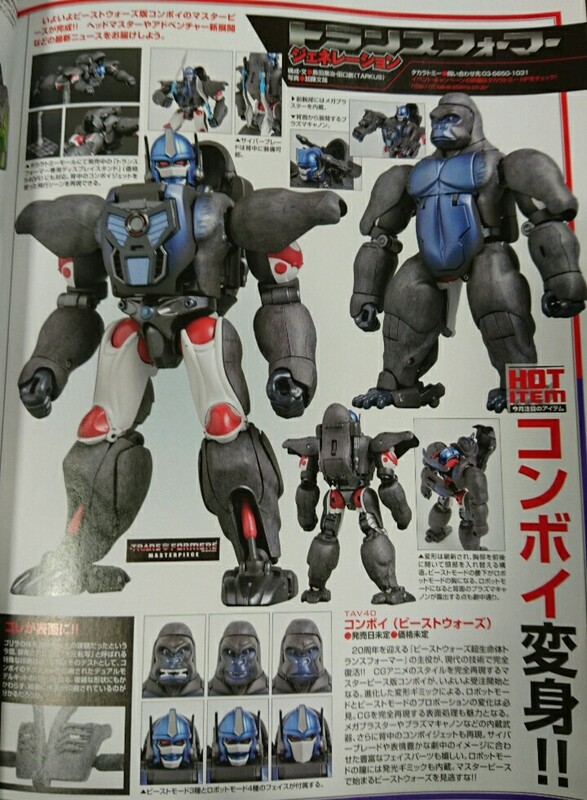 From Figure King Magazine and also the latest Beast Wars Anniversary Special video on Nicovideo, we have our first look at the upcoming Masterpiece Optimus Primal in color! Beast Wars’ own Boss Monkey is looking awesome in these new images, with the look of his robot and beast modes faithfully realized (in the case of munky mode, from the front, anyway – there’s a few robot mode bits showing on the back of the legs). In these images, the Figure King scan gives a good view of both modes, and some smaller images showing accessories and features – it’s » Continue Reading. The post Masterpiece Optimus Primal Color Images appeared first on Transformer World 2005 - TFW2005.COM. Here’s some interesting news. 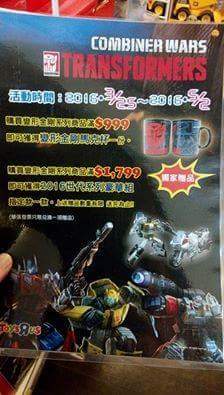 According to TFND on Facebook, Toys R Us Taiwan are currently doing a giveway where any spend of NT1,799 will net you a “Combiner Wars” Deluxe Groove. This is a limited edition, while stocks last, kind of giveaway. While the flyers for this one are branded Combiner Wars, it’s worth noting that Taiwan falls under Hasbro Asia, who have in the past released Japan-only molds in Asia. As such, this could actually be an individual release of Unite Warriors Groove, in limited quantities. The images on the flyer seem to support this as they appear » Continue Reading. The post Toys R Us Taiwan giving away Deluxe Class Groove appeared first on Transformer World 2005 - TFW2005.COM. 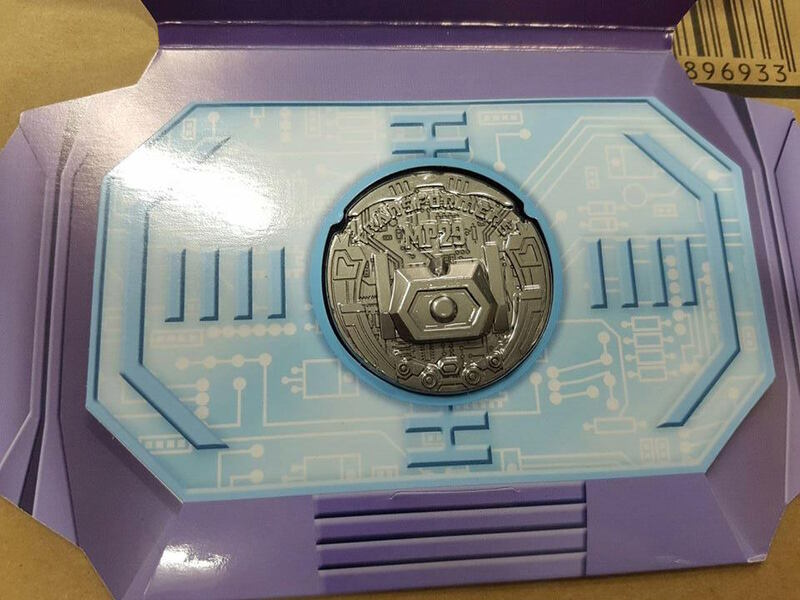 Thanks to Planet Icaon, we’ve received images of the Collector Coin for the soon to be released Masterpiece Shockwave / Laserwave! As is tradition, this collector coin is a nice touch to the Masterpiece line with detailed packaging taking cue from the character design. Shockwave will be seeing his release at the end of this month. Are you ready? The post Masterpiece Shockwave Collector Coin Revealed appeared first on Transformer World 2005 - TFW2005.COM. The 300s come to a close as Vangelus and Seth consider the boons of swappable shoes and galaxy expresses. You can download and comment on it here: WTF @ TFW – Episode 399 If you use iTunes and regularly subscribe to podcasts, you can add us to your player and have the software download each episode automatically each time we update. To do that, and give us a reviews on iTunes, click here: Transformers Podcast on iTunes. The post WTF @ TFW Podcast episode 399 now online appeared first on Transformer World 2005 - TFW2005.COM. Our friends and sponsors over at The Chosen Prime sent in their Newsletter, check it out below! __________________________________________________ Specials / Hot Items DX9Toys Hulkie Ocular Max PS-01A Sphinx Alternative Fansproject Saurus Ryu-Oh Pterobot BadCube OTS-04 Wardog Takara MP-27 Ironhide Generation Toy GT-1D Bulldozer Master Made SDT-02 Diabolus Rex Takara MP-28 Hot Rodimus Unique Toys Y-02 Buzzing Takara MP-29 Laserwave / Shockwave FansToys FT-15 Willis Fansproject LER-04 Severo Combiner Wars G2 Superion set FansToys FT-07 Stomp TFC Toys H-03 Cerberus FansToys FT-14 Forager Combiner <a href="http://news.tfw2005.com/2016/03/21/chosen-prime-newsletter-32016-311775">» Continue Reading. The post The Chosen Prime Newsletter 3/2016 appeared first on Transformer World 2005 - TFW2005.COM. Via German site fernsehserien.de, we have summaries of two of the next episodes of Robots in Disguise (in German, translated to English by TFW2005 member Nis Randers). In Misdirection, the team are set to have their first encounter with the possible big bad of this season, a nasty guy with a sting in his tail called Scorponok! And in Bumblebee’s Night Off, Bumblebee takes a night off from trouble and fighting Decepticons – unfortunately, trouble is not taking a night off from Bumblebee! We’ve posted the full length summaries after the break – be warned, there’s some possible » Continue Reading. The post Robots in Disguise Misdirection and Bumblebee’s Night Off Synopses appeared first on Transformer World 2005 - TFW2005.COM. TFsource SourceNews! New Rare Recruits, CW G2 Menasor, Doombringers, FansToys & More! We have received an update from our sponsors at TFSource! Check out the highlights of their latest update below, and read on for the full update! NEW HOT PREORDERS: – Make Toys – City Bot Series – MCB03 – Pandinus – FansToys FT-15 – Willy – Early Bird Pricing Save $5 – Mastermind Creations – Ocular Max – RMX-01 Jaguar Premium – War in Pocket – DX9 Doombringers Set of 3 – X04G X05G X06G – <a href="http://tfsource.com/masterpiece/mp-31-delta-magnus/" » Continue Reading. The post TFsource SourceNews! New Rare Recruits, CW G2 Menasor, Doombringers, FansToys & More! appeared first on Transformer World 2005 - TFW2005.COM. Although Nuremburg and New York Toy Fair have come and gone, there’s still another Toy Fair going on down under. TFW Boards member griffin-of-oz, has shared with us a good number of images and info from the Transformers exhibit at Toy Fair Australia 2016! Take the jump to check out all the awesome stuff the Ozformers site owner covered from the event! 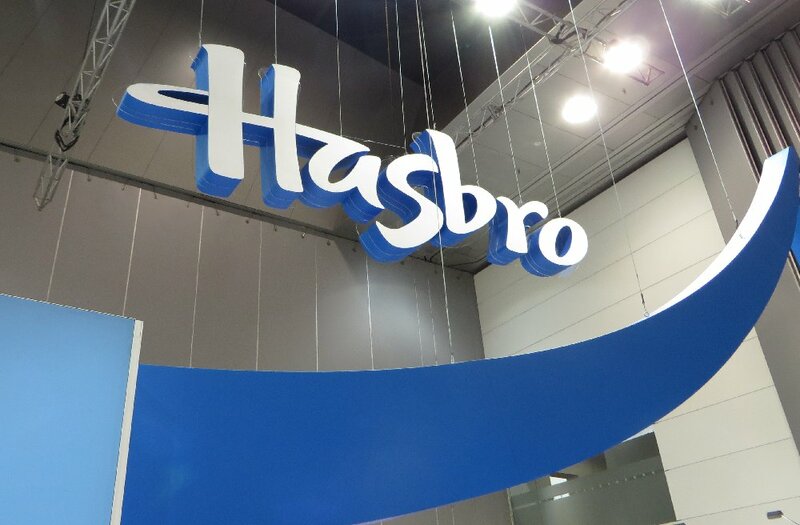 Hasbro’s setup consisted of three separate sections: Combiner Wars, Titans Return, and Robots In Disguise 2015. The Combiner Wars figures on display consisted of Wave 6 Deluxes Trailbreaker, Smokescreen, Wheeljack, and Hound; various Legends-class figures including Legends » Continue Reading. The post Toy Fair Australia 2016 Images appeared first on Transformer World 2005 - TFW2005.COM. 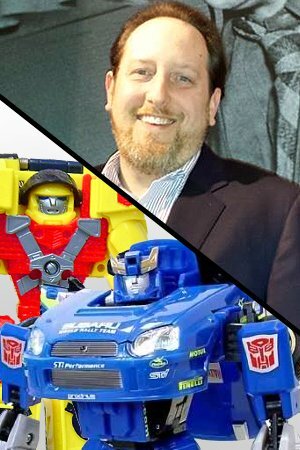 The official Botcon Facebook page has posted a status update with the announcement that former Hasbro Transformers toy designer, Aaron Archer will be attending Botcon 2016 next month. In addition to this announcement, the page also said that today is the last day to register for the Primus and VIP packages. Click the discussion link below to share your thoughts. The post Aaron Archer To Attend Botcon 2016 appeared first on Transformer World 2005 - TFW2005.COM. 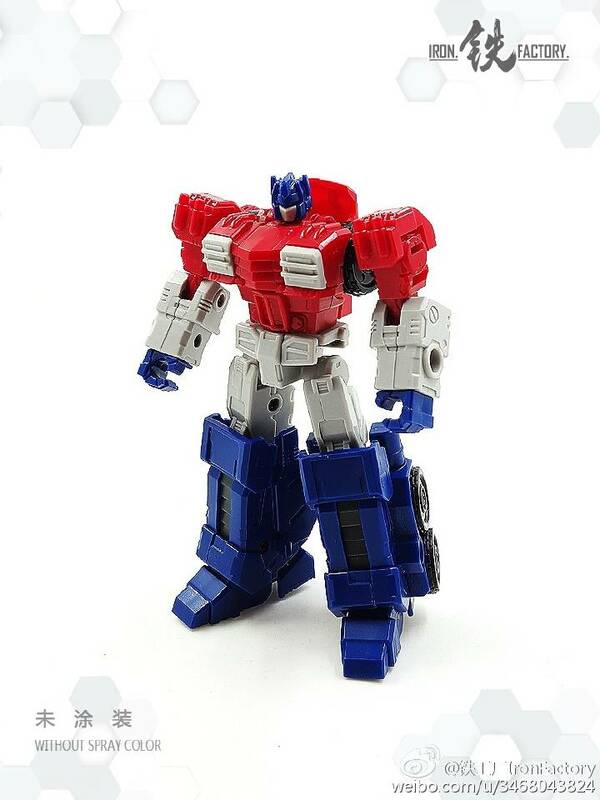 Via their Twitter account, third party company Iron Factory has shown off images of their painted prototype of their Legends-scaled take on Stormbringer Optimus Prime who comes with a trailer that doubles as Apex Armor to form Powermaster Optimus Prime/Godbomber! In addition to a set of optional armor, this little leader also has a suitable arsenal at his disposal, including a very G1-inspired Ion Blaster. No pre-orders have been listed yet, but be sure to check out the pics after the jump and join the discussion to share your excitement! The post Iron Factory Legends-Scaled Stormbringer Optimus Prime/Godbomber Colored Prototype appeared first on Transformer World 2005 - TFW2005.COM. Just in time for Easter egg hunts happening very soon, Transformers Collector Tin Eggs has been located in a Toys’R’Us store. 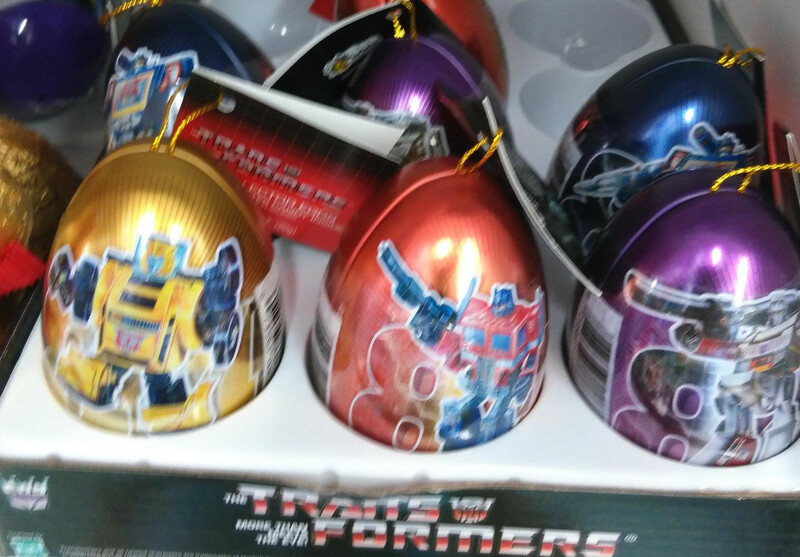 The egg shaped containers, with “Cyber Bytes Candy” inside, feature art from Generation 1 Optimus Prime, Bumblebee, Megatron, and Soundwave. These appear to be very similar to the Christmas ornaments that appeared back in 2014 at discount stores like Dollar Tree. If you want to include these in your hunt, they will each set you back a cool $1.99 USD. Checkout the eggs after the break. The post Transformers Collector Tin Eggs Found at Toys’R’Us appeared first on Transformer World 2005 - TFW2005.COM. 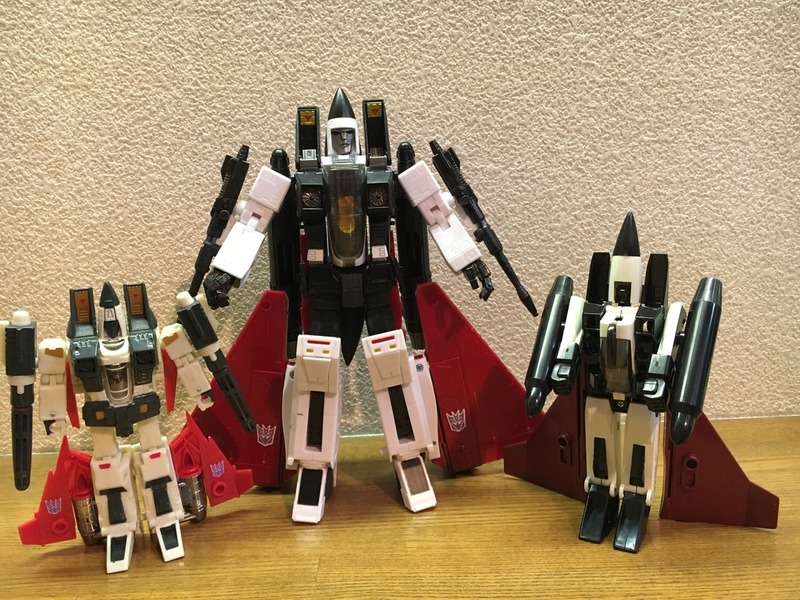 The latest entry in the Masterpiece toy line, MP-11NR Ramjet, is finally here, and board member Masabon has graciously provided us again with some in hand images of the figure. His images show off the robot and vehicle mode of this figure from multiple angles, as well as some of the gimmicks designed for missile pods transformation. We also see some comparison shots of Masterpiece Ramjet with frames from Transformers: The Movie and along side Generation 1 and Classics iterations of the character. Check out the images for yourselves after the break, and let us know if you will be » Continue Reading. The post Takara Transformers Masterpiece MP-11NR Ramjet In Hand Images appeared first on Transformer World 2005 - TFW2005.COM. Couple of weeks ago we announced that Transformers: Robots In Disguise Season 2 will air this March on Cartoon Network in UK. Regular Capital is now providing us with the full schedule of the season. 13 episodes of Transformers: Robots In Disguise Season 2 will run until April 16th where the show will be replaced with Hasbro‘s newest show; Yo-Kai Watch. Two-Part Finale of the season will be broadcasted back-to-back (7:30am and 8:00am respectively) without interrupting by shifting the 2nd part to 17th Sunday. Since March 12th, both Saturdays and Sundays will air the new episodes of RID at 7:30am and the reruns » Continue Reading. 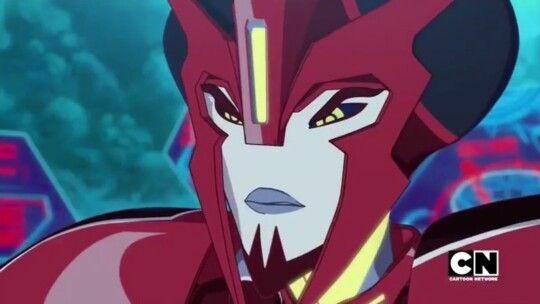 The post Transformers: Robots In Disguise Season 2 UK – Full Schedule Revealed appeared first on Transformer World 2005 - TFW2005.COM. Hot off the back of the first official unveiling of Titans Return Astrotrain and Ravage, Hasbro Australia have released official renders of these two new toys! 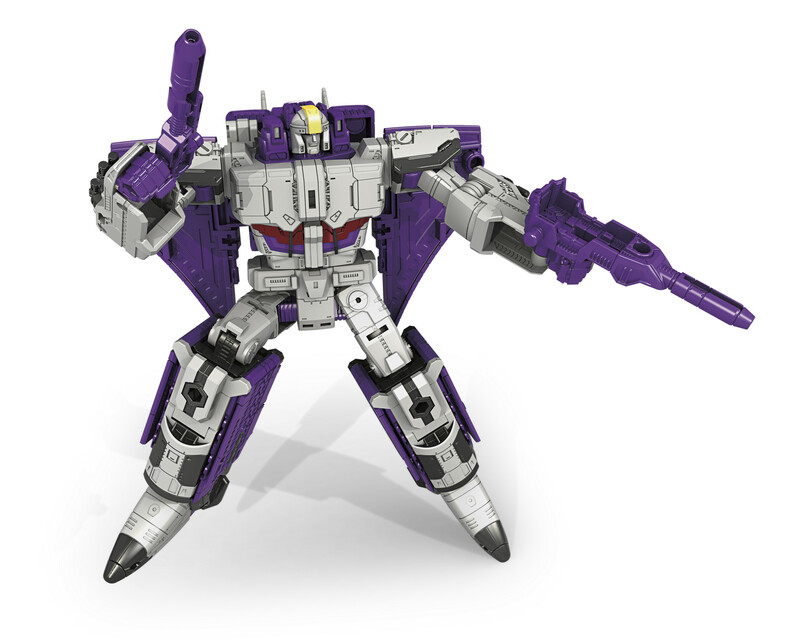 Check out the official renders of Voyager class Astrotrain with Darkmoon and Ravage attached to this post – and note that like the earlier official images of Rumble, these images of Ravage use the Stripes head design rather than the official ones shown on the prototype we saw yesterday. Check out the official images after the break. The post Titans Return Astrotrain and Ravage Official Images appeared first on Transformer World 2005 - TFW2005.COM. Via @Tagoal on Twitter, we have an in-hand look at the recently released Transformers Adventure Black Knight Bumblebee. 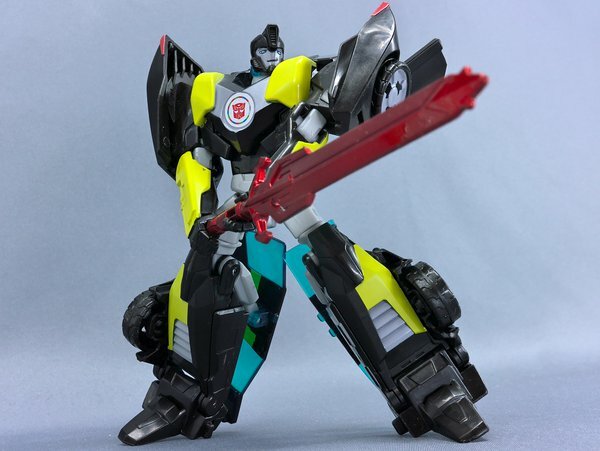 This Japanese release of Bumblebee in his black stealth / night ops deco is a Cybertron Satellite exclusive, meaning you can only get him from stores which host the Cybertron Satellite kiosks. He’s a very slick looking release, with a nice deco and a very cool red sword. Check out the images after the break. The post Transformers Adventure Black Knight Bumblebee In-Hand appeared first on Transformer World 2005 - TFW2005.COM. Renderform Reveals G2 Stunticon Weapons! Venksta dropped by once again to give us an update on a new project that’s taking preorders already at the Renderform Store, one that should please the Generation 2 Enthusiasts whom also liked the first set of Stunticon weapons he released. Generation 2 colored weapons! Each of the weapons seems to be tailored to match the accent colors of each of the Stunticons, and more, there are also three variants of the Menasor/Motormaster cannon, a nice purple, a generation 2 turquoise that is color matched to the Hasbro Hands and feet, and a final Prototype Green surprising varient that » Continue Reading. The post Renderform Reveals G2 Stunticon Weapons! appeared first on Transformer World 2005 - TFW2005.COM.